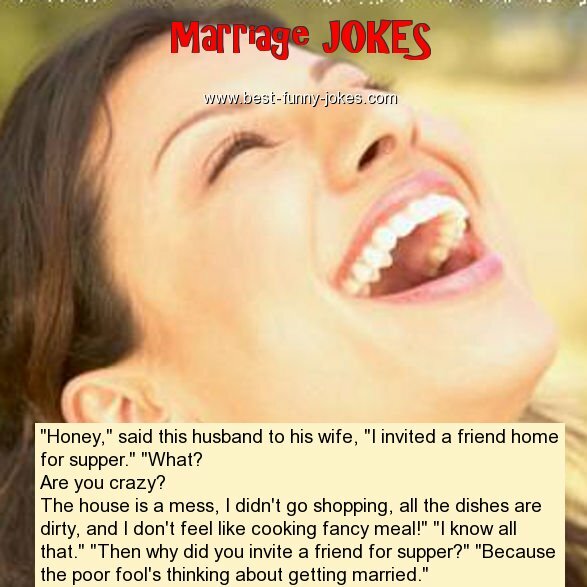 "Honey," said this husband to his wife, "I invited a friend home for supper." "What? The house is a mess, I didn't go shopping, all the dishes are dirty, and I don't feel like cooking fancy meal!" "I know all that." "Then why did you invite a friend for supper?" "Because the poor fool's thinking about getting married."